On 29 April, 1881, the steamer SS Tararua was shipwrecked near Waipapa Point, Southland. 131 people died, making this the worst civilian shipping disaster in New Zealand history. The SS Tararua left Port Chalmers in Dunedin on 29 April, 1881, carrying a crew of 40, 111 passengers, and a cargo which included £4000 in silver coins. Its next port of call was Bluff, as part of the passenger-cargo run from Melbourne around the coast of New Zealand. The Tararua passed the lighthouse at Nugget Point, south of Dunedin, just before 1.30am. It was a dark night, and the coast could not be seen. Estimates of the steamer’s position had to be made using the speed of the ship, the last known position, and compass readings. Just after 5.00am the sound of breakers was heard, which meant that the ship was too close to shore. Captain Francis George Garrard tried to turn the Tararua out to sea, but, as it was coming around, it struck on some rocks, breaking the propeller and unshipping the rudder. Passengers crowded the deck in confusion. The crew tried to launch the lifeboats, but were slowed in their efforts by panicking passengers. After the first lifeboat holed on launching, distress rockets were sent up and the signal cannons fired. When day came, it could be seen that the steamer was on the Otara Reef, which runs out to sea from Waipapa Point for almost 13 kilometres. The second lifeboat was launched at 6.00am, carrying a passenger who made it ashore and raised the alarm at a nearby farmhouse. A farmhand then carried the news of the disaster inland by horseback. However the message which reached Dunedin by just after midday was not marked urgent, and no immediate action was taken. By now the wind had risen and the swell of the sea was increasing. Passengers remained on board the ship believing it was the safest place to be, but attempts to reach the Tararua from the shore through the surf failed. By 2pm the ship was breaking up, and as the stern sank, the helpless passengers moved forward and up into the rigging. Only one man who tried to get to shore by swimming succeeded. Others made the attempt, clinging onto pieces of wreckage, but were sucked out to sea or lost their grip and sank, often only metres from the shore. At about 2:30am on the second night of the wreck, as people screamed for help, there was a great crash as the masts broke and the ship rolled over. By dawn it had sunk almost out of sight, and only wreckage and the occasional body remained floating on the sea. Of the 151 passengers and crew on board, only the 20 who had made it to shore survived. 131 people died (including 12 women and 14 children). After a wrong report was sent saying that all lives were safe, the rescue attempt became less urgent. For days afterwards, bodies were swept ashore. 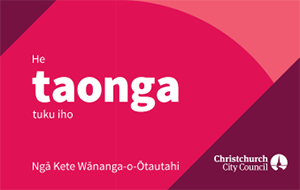 Identification became impossible, and the Tararua Acre, a piece of land at Otara, almost opposite the site of the wreck, was made into a cemetery for 55 of the dead. An inquiry found that the wreck was the result of failure on the part of the captain to find out for certain the correct position of the ship, and the failure to keep a proper lookout. A lighthouse was built on Waipapa Point in 1884. The Tararua shipwreck was the worst civilian shipping disaster in New Zealand history. Search our catalogue for information on the Tararua Shipwreck. 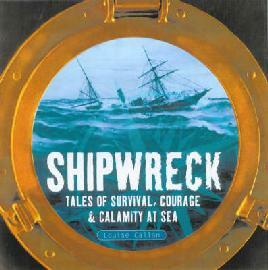 Shipwreck: tales of survival, courage and calamity at sea, Louise Callan, Auckland, 2000. Shipwrecks around New Zealand, Eric Heath, Wellington, 1994.